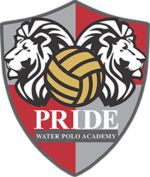 Pride Water Polo Academy is pleased to offer high level goalie training led by Coach Nate Bennett. Nate implements a goalkeeper training curriculum across all age groups. Also, he tailors unique level specific development plans for each Pride goalkeeper. Nate began playing club water polo in his hometown of Merced, Ca. at the age of 12. After playing one year in the field, he made a decision to try a hand at goalie and never looked back. In high school, he was three-time first-team all-league, twice named first-team All-CIF San Joaquin Section and All-American recording over 1,000 saves. 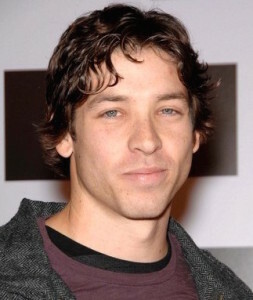 As a member of the USA Junior National Team, Nate participated in the Moscow Cup in Russia, the Pan Am Games in Boca Raton, Florida in 2002 and the FINA Junior World Championships in Naples, Italy in 2003. At UC Berkeley, Nate was a 3-year starter. In 2004 he was named to the All-MPSF team. In 2005, his final year at Cal, he was team captain and received All-American honors. He was also a 2-time MPSF player of the week. You can save big on the purchase of your Isoptin, if you know where to look for it. We’ve got it at only 0.56 USD for you! Nate was a member of the Senior National Team from 2005-2007, traveling to Serbia for the World League Tournament, Long Island, New York for the World League Superfinal and Montreal for the 2005 FINA World Championships. Nate graduated from Cal with a B.A. in American studies with a concentration in technology and world economy. He was also a 2003 AWPCA All-Academic selection (Superior Class) and MPSF All-Academic pick and 2004 MPSF All-Academic selection. Nate lives in Thousand Oaks with his wife Julie.